There are different versions of LG PC Suites are available. It’s depend on your mobile model number. LG PC Suite also called as PC Sync. This software allow you to connect your mobile and device with help of USB Driver. Even you can synchronize your data, important information, calendar, music and you can transfer files into your device. LG PC Suite software will be available freely. Here i will tell you how to install LG PC Suite. It support all platforms like Windows XP , Windows 7, Window 8, Window 10, and Window Vista. 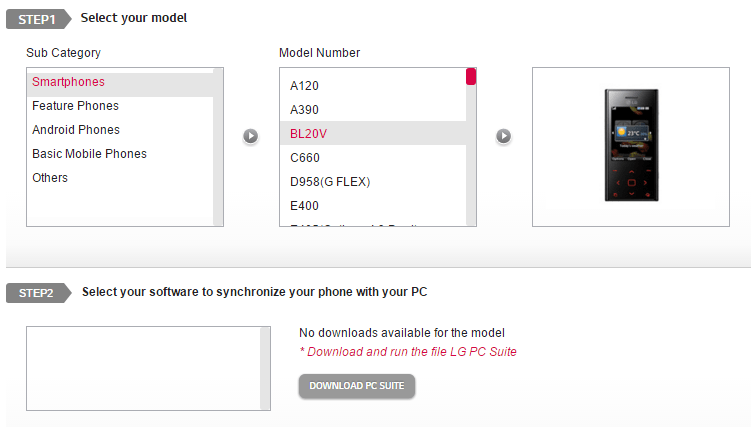 Here i will give full information about how to download LG PC Suite for free, Windows and Mobile. Here i have to clear one thing that when you download for windows you need to select subcategory smartphone then choose your model number. You can mange and play media contents on you PC like Music, games, pictures, movies etc. Now you have to choose the mobile panel and click the mobile option on home page. Now you will get all information about mobiles. At left most side you will find out Download PC Suite option. Just simple click on that link. Now you have to select model of your LG mobile then you need to select subcategory of your mobile like Smartphone, android, Feature phone, Basic phone or other. By click to subcategory you need to select model number. If in case it’s suitable then it’s provide download option. Now you have to select software to synchronize your mobile with your computer. That’s it you have successfully downloaded LG PC suite. Now you have downloaded LG PC Suite for free, now simply connect your mobile with PC to sync, backup and transfer files.